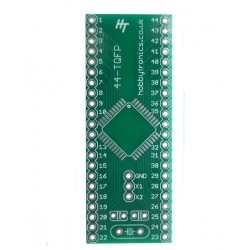 This is a 44 pin TQFP to DIP breakout board. 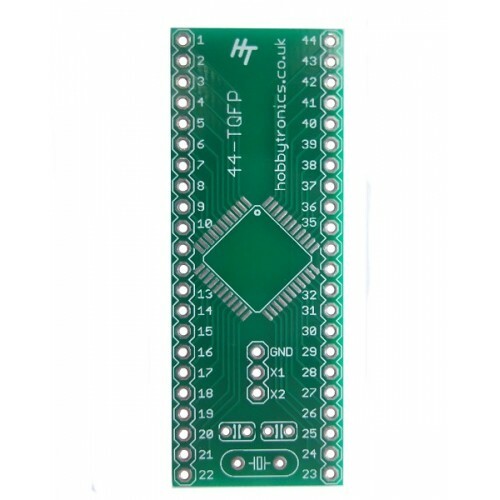 This custom PCB will interface a standard 44 pin TQFP package IC to 0.1" headers, which are easier to work with and integrate well with breadboards. 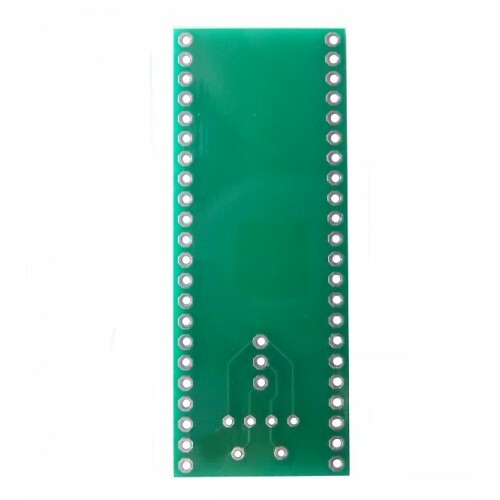 There is a 0.7" spacing between the two rows of pins. 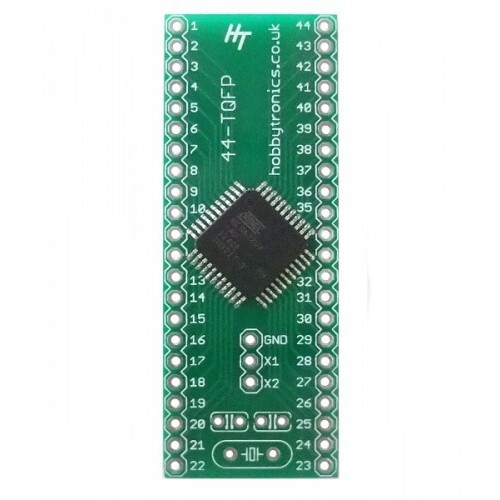 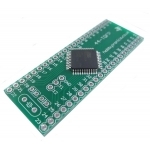 The 44 pin TQFP chip package is still large enough that it can be hand soldered with a fine tip soldering iron. We also made space for an optional Crystal and it's associated capacitors. 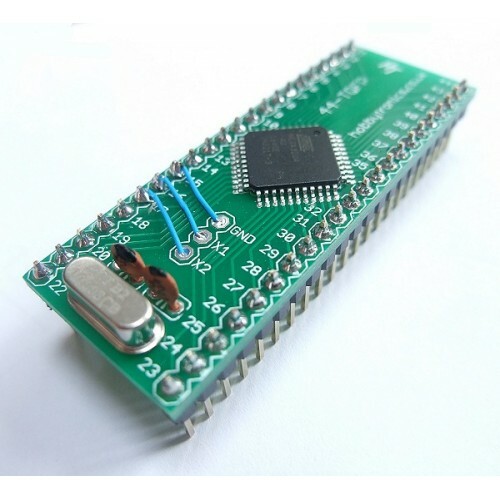 They are not connected to any microcontroller pins, but simply broken out into GND, X1 and X2 pins in the center of the board. 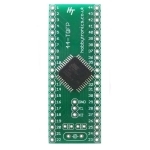 These pins can then be easily connected to the appropriate microcontroller pins, saving space on a breadboard and also making for a nice integrated chip and crystal set.